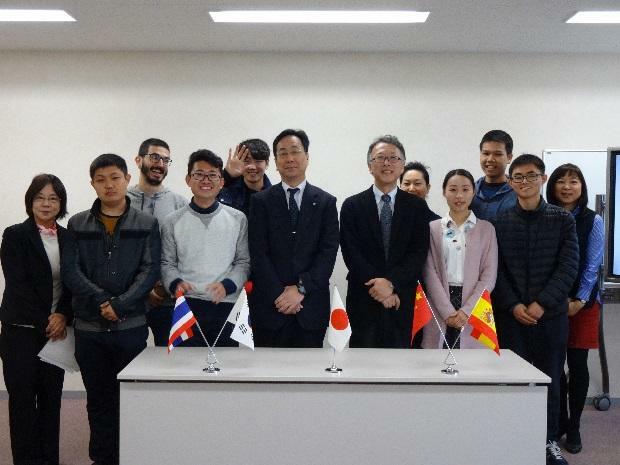 Mie University | The opening ceremony of the CIER 2016 spring semester was held. The opening ceremony of the CIER 2016 spring semester was held. The opening ceremony of the CIER 2016 spring semester was held in conference room of the CIER building on April 8th. 17 participants attended this ceremony. Students were welcomed by Prof. Hori, Vice President for International Affairs. He told "The Campus of Mie University is surrounded by green-full and beautiful nature. I hope all of you try to study hard Japanese, Japanese culture and major subjects. Also you try to make many friends and enjoy campus life in Japan." Prof. Fukuoka spoke on "I'm looking forward your speech in Japanese with using vocabulary gained through the Japanese course at the graduation ceremony." Several of them introduced themselves in Japanese well. After that, they took a photo with professors. 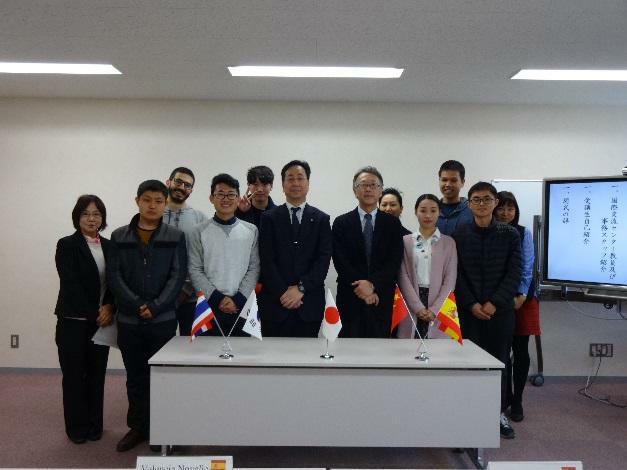 The 38th class has 7 students from Jiangsu University, Polytechnic University of Valencia, Inner Mongolia University of Technology, Kasetsart University and Sejong University.